The second session of the day at the fantastic EiQ, was right up our street. 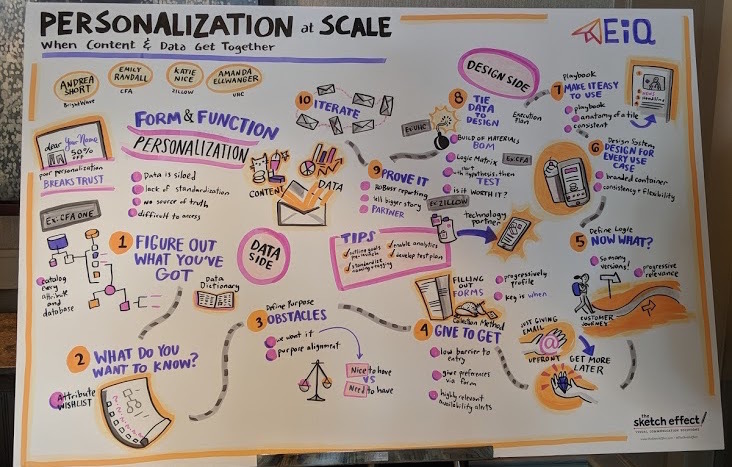 The Personalization at Scale: When Content & Data Get Together session provided an insightful look at how brands approach personalization and how they deliver it. The biggest challenge brands state in achieving personalization is the vast amount of data they have. Data that's often siloed and lacks standardisation. A single customer view is the ideal situation but many, many brands aren't quite there yet. This makes accessing and using the data a big challenge. With various systems collecting and storing data, it can be difficult to access. So where to start? You need to figure out what you've got and what you want to know. As a marketer, it's vital to understand and define the purpose of what you want to do and then define what data you need. Really focus on what's nice to have vs. what you need to have. That's really important. Start small, be realistic. This exercise shouldn't be approached with a 'we need everything' attitude. The just isn't achievable. Figure out the best strategies for your business and then work on making the data you need available. If you need to collect that data, be smart with your sign up forms, use progressive profiling from your email activity (last click categories etc.) and leverage polling/voting in email. These are all good places to start. Once you've solved that piece of the puzzle, what do you do next? It's likely that you'll have lots of data points for personalization - far more customer groupings than you can manage to deliver using dynamic content or segmentation. The most efficient way to personalize is to use a technology partner (like us!) to help you connect your CRM data to your content (from your product feed, website, blog etc). Removing the need to manually source and build your content is the main ingredient to achieving personalization and doing it consistently. Automating email content production allows you to speed up your email build - your CRM data and the open time tech do the hard work. A top tip here is consistency. Set up a couple of templates with a different look and feel and drop in the logic. This means that whenever you need to send a personalized email you're ready to go. Leveraging your product or blog content feed, you can automatically display the latest content to each recipient personalized to the preference data stored in your CRM. 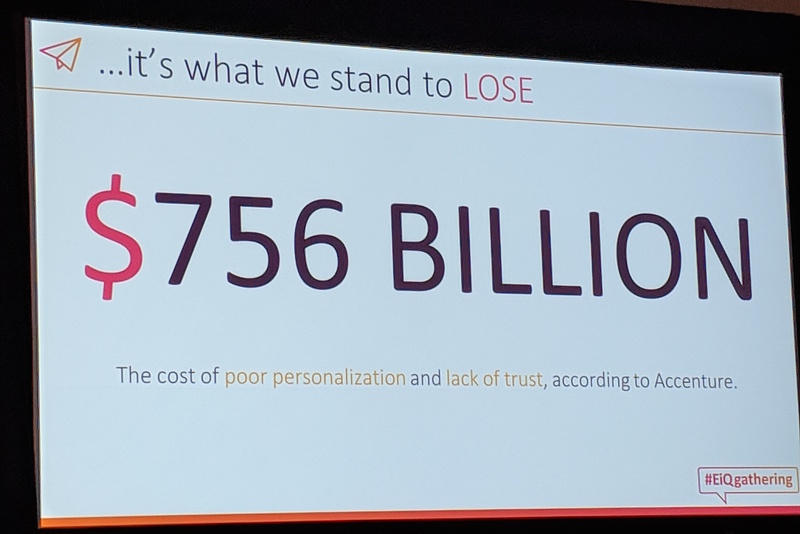 And there you have it - personalization at scale, repeatedly. The lasting message of this session and my experience is this: If you do personalization, and do it well - it works. It's as simple as that. It's doing it well over a sustained period that brands are finding a challenge. Start small and grow your personalization goals at a realistic pace for your brand.